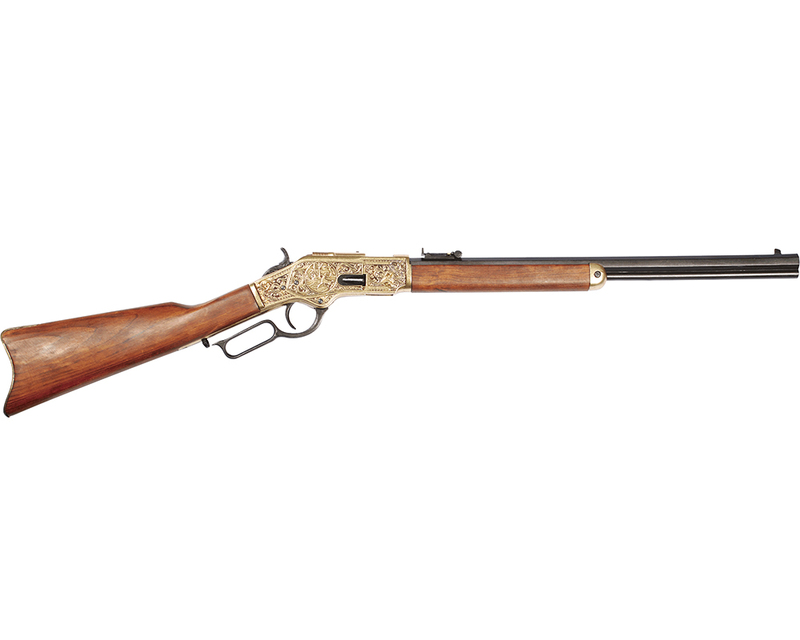 In 1866, the year after the Civil War ended, Winchester and Henry produced a new rifle at New Haven under the firm's new name of the Winchester Repeating Arms Company. 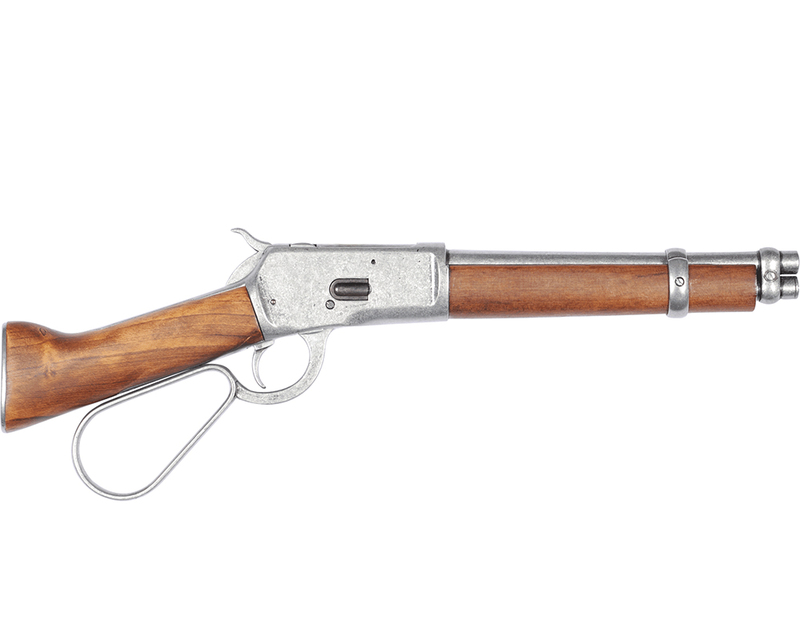 It was Winchester Model 1866. It had a side-loading gate in a brass frame, and had a less complicated action, but it continued to use the .44 rim-fire cartridge. 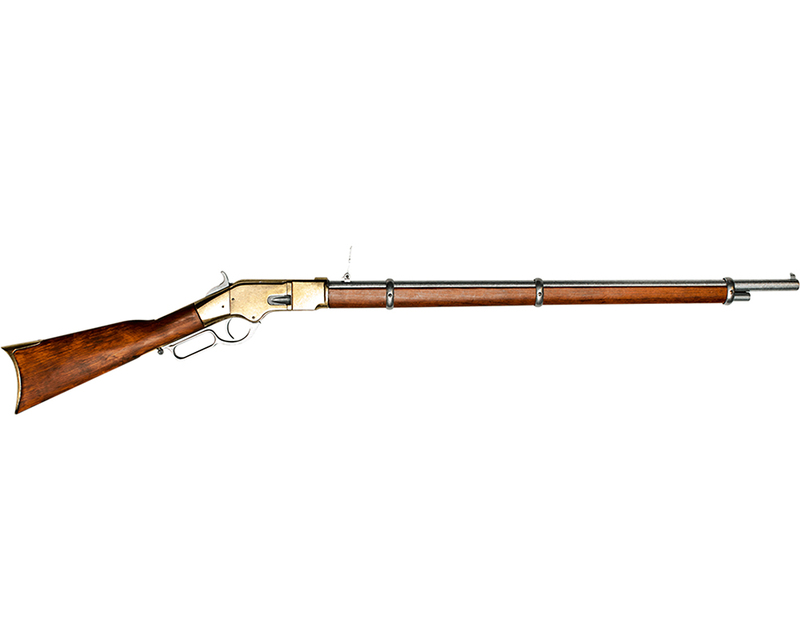 This first true Winchester called the "Yellow Boy" (because of its shiny yellow brass frame) was a trim, easily carried, eagerly accepted multi-shot weapon by frontiersmen, Indians and the general outdoor public. It gave Winchester a good start on the postwar civilian market. 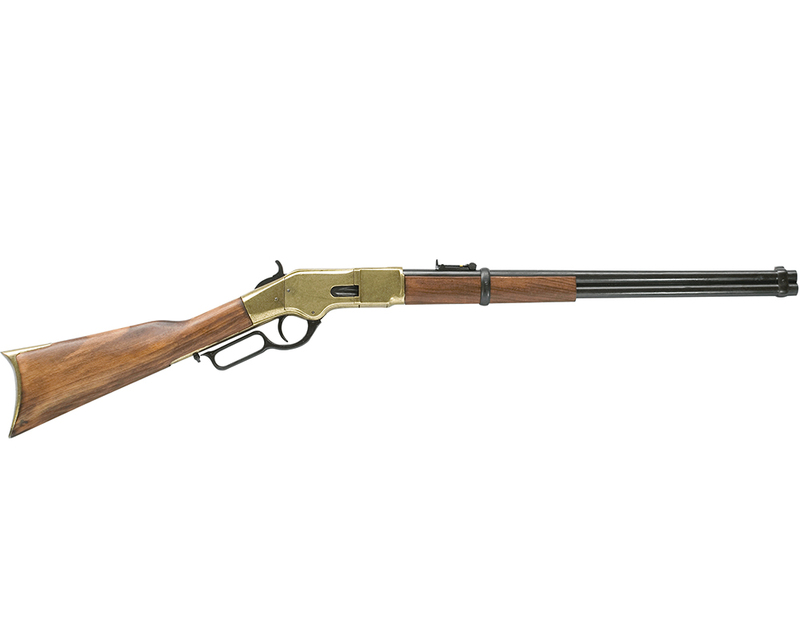 This non-firing replica has the lever-action loading system that works like the original.Overall length: 39.5''; Weight: 6.6 lbs.